A) About 11 years ago I moved to this area after four years working in Silicon Valley. I’m still designing silicon chips but in the rather less sunny location of Bracknell. (Our image sensor chips mostly go into cameras for cars.) I’m married to Jane and we have two school age daughters. A) In my younger days running was something I was OK at but mostly did as part of some other sport – rugby at school and training for rowing at university. I stuck with the rowing after graduating and moving to London, and also occasionally joined some runner work colleagues at events like the Burnham Beeches 10k and the Great North Run. Through them I got to marshal at the London Marathon finish one year – that gave me an entry for the next year, but I got some injury or other and couldn’t run. Bother. Fast forward twenty years or so and I joined a friend in a couple of the “micro triathlons” held at Wellington College. These confirmed that I’m really not a swimmer but I enjoyed the running. As my 49th birthday approached I got to thinking about the big five-oh, wondering how to mark it, and remembered that missed marathon… So I signed up for Brighton 2016 and started running a bit more. Then a lot more after Christmas to ensure I made it round! In the end I was comfortably under four hours, and from then I guess I was hooked. A) Running with other people is a great change from being out on my own, although I’m happy with that too. There’s also a few more faces I know at parkrun now. And I’m getting excited about the conclusion to this year’s Handicap Series! A) Fitting around the rest of the family can be tricky, but I most often make the Thursday run. Plus the Handicap. Q) I see you’ve exclusively run at Bracknell Parkrun, tell us what you like about the Bracknell event? Q) What other events are on your programme for the rest of 2017 and 2018? A) The Milocarians XC and hopefully some of the remaining TVXC runs (and cakes). 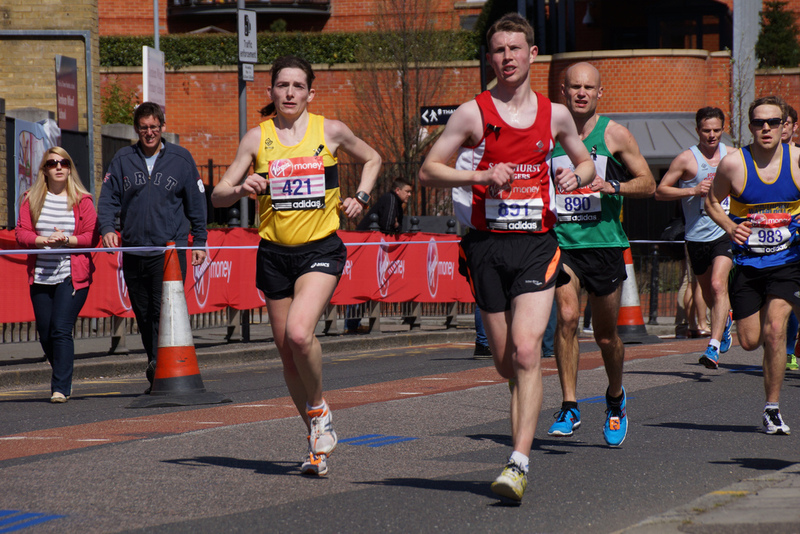 I’ll probably sign up for the Bracknell half again, but I do need to organise some more things – maybe it’s even time to think about another 26.2 miles!